ANKARA, Aug. 1, 2016 - People gather at the explosion scene in Bingol, Turkey, Aug. 1, 2016. A bomb attack in southeastern Turkey killed six police officers and injured four others on Monday, Dogan News Agency reported. 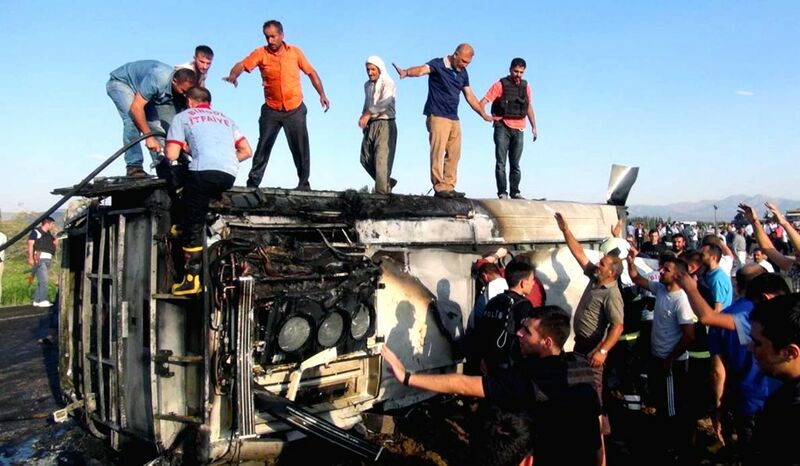 An explosion took place when a suspected bombing truck of the outlawed Kurdish Workers' Party (PKK) militants hit a police shuttle bus at 17:45 local time (1445 GMT) in the province of Bingol, the report said.